It’s time for another Get Creative Challenge. This month’s challenge is an “Anything But A Card” challenge. I decided I’d make a Christmas tag and I’m using this cute trio of Caroling Snowmen from Paper Nest Dolls. Aren’t they so adorable! I colored this image with Prismacolor Pencils and a blender pen. I popped it up to add some dimension to the tag. I’m still learning how to color with pencils. I’m enjoying the process, though. There are 3 jingle bells strung on some red striped twine and hung across the top of the tag. Some crystal stars were added for a little twinkle. The sentiment is one that I had from an Art C (Michaels) Ornament Set. Thanks for stopping by to take a look. Don’t forget to head on over to the Get Creative Challenge to enter this month’s challenge. Just stopping by for a quick share before heading out to Church this morning. There is nothing very special about this card. The papers are from Pixel Scrapper. They are digital so I printed them on cardstock and cut the shapes out using my Silhouette Cameo. I used an image and sentiment from My Favorite Things “Hog Heaven” set and colored it with my PrismaColor Pencils. I purchased this set from Maple Syrup Designs – a new Canadian company that I highly recommend. The owner, Colleen Tyler, is amazing and very willing to answer any questions you might have. Shipping was super fast. I’ll definitely be buying from her again. If you are looking for a great online store go check her out, especially if you are Canadian. You won’t be sorry. That’s all from me today. I hope you all enjoy your day. See you again soon. I love this image from Paper Nest Dolls. I used my new Prismacolor pencils to color it. I’m still learning how to use colored pencils but I’m happy with the outcome here. 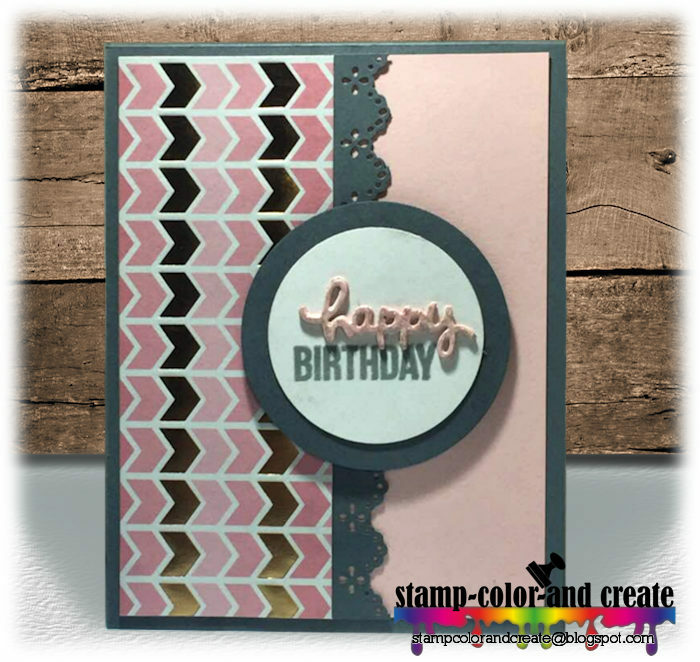 I kept the card clean and simple and used some free digital papers that I found on Pixel Scrapper. Thanks for stopping by for a look. Enjoy the rest of your weekend! I really enjoyed making the cupcake pop-up card so I decided to give it another go. This time my theme was friendship and I found the cutest image on google. Did you know that just because an image is on google that does not mean it’s free to use? It may not seem like a big deal to you, but, as a designer, I really struggle with the fact that many people think google is a free for all. It’s not. Luckily, there is a way to make sure you are using an image that you have permission to use by filtering google so that it only shows you images that are free to use. By doing this you don’t risk infringing on someone’s copyright. It’s quite easy. Just type what you are looking for in the google search bar (make sure IMAGES is selected) and then you can select TOOLS and choose the usage rights you desire. Since I knew that I would not be selling this card, I choose “labeled for noncommercial reuse”. The image I am using today can be found HERE. That’s all from me today. Have a great day! Don’t forget there is still time to enter my giveaway! I noticed a feature in my newly updated Silhouette Cameo software that will create pop-up cards so I decided to give it a go. After watching a couple of YouTube videos on how it works - I know Google is supposed to be your best friend, but, in this crafter’s world, YouTube is mine – I picked out a digital cupcake image that I had in my stash, loaded it onto my virtual mat and got started . The first thing I needed to do was take a trace of my image so that I had something to convert into a pop-up shape. I offset it slightly so that there would be a white border around my finished pop-up. At this point I printed the image and cut it using my Cameo’s print and cut feature. I moved the image off my mat and selected the traced outline of my image. I clicked on the pop-up icon on the right-toolbar and played with the settings on the pop-up panel until I had the least amount of tabs while still looking visually pleasing. I created a rectangle that was 3.75-inches wide by 10.5-inches long to represent the interior panel of the card and another panel that was half the size in length and aligned those two rectangles to the top and centre of each other. The smaller rectangle would give me a reference for the centre fold and help me know where to place the pop-up. I moved the pop-up piece so that the dashed line on the bottom (with the 2 red dots on either side) was lined up with the centre fold and then aligned it so that it was directly centered. I pulled the smaller rectangle off the mat as it was no longer needed. I grouped the remaining two pieces on the mat together so that the pop-up would not shift off centre and then I used my Cameo to cut the piece out. I colored the digi image with my Copics and adhered it to the card along with a sentiment to finish off the inside. I cut a piece of white cardstock to 4.25-inches wide by 11-inches long, folded it in half, and adhered this panel to the inside. All I had left to do was to decorate the front of the card. I kept it fairly simple because I wanted the focus to be on the inside. That’s it for me today. I’ll be back soon (maybe even tomorrow) to share another cute pop-up card that I made. What can I say, it’s a cool feature! Don’t forget about my GIVEAWAY. This month’s theme over on the Get Creative Challenge Blog is Lots of Bling & Sparkle. Sponsors are Limited Runs, Fabrika Fantasy, and Eureka Stamps. The first layer of my card is cut from some blue paper that has a bit of a glitter effect to it. I added the white mat on top of that and then set about to make my cupcake. I selected a digital cupcake image designed by Limited Runs and then traced it with my Silhouette. I extracted the icing layer from the traced image to use for my cupcake. I cut the cupcake top (not including trees) from a piece of Silhouette Double-Sided Adhesive Paper. I removed the backing and sprinkled some glitter embossing powder over it to make a sparkly icing and then heat set it with my heat gun. I colored the trees and the cupcake paper with my copics and used some clear Wink Of Stella to add some dazzle to the ribbons and balls on the trees. I added some clear jewels and a sentiment to the card to finish it off. You may wonder why I chose a happy birthday sentiment to use on a card that has Christmas trees on it. Well, I know a few people who have birthdays on Christmas day so I figured this image would work very well to wish them a happy birthday with. We’d love to have you participate in this challenge so head on over to the Get Creative Challenge Blog to enter. I have been promising a special surprise and I’m ready to announce it. I will be having a giveaway on my blog once I reach 100 email subscribers. So, if you know of any crafty friends who may enjoy my blog (and a giveaway), please let them know. The only thing that is required for this giveaway is that you become an email subscriber. And just for signing up as an email subscriber, you will receive an EXTRA BONUS surprise, too. You can find the sign-up form HERE. I promise not to spam your inbox! Blog posts are sent out once a day and only when new content has been shared. Even if I post more than one time a day, you will only receive one email with all the content posted on that day. As an email subscriber, fun little surprise freebies might show up in your inbox from time to time so take a minute to sign-up so you don’t miss out. And don’t forget about the bonus surprise you’ll receive once you sign up as well! Today I plan to be in my craft dungeon making cards. School starts again on Tuesday and I need to take advantage of some craft time therapy before the students return. Leave me a comment and let me know what your plans are for this weekend. I am always looking for new inspiration for making sympathy cards. I found my inspiration for this card from none other than the great Jennifer McGuire. This type of card is called a set-back card. It’s made by using a stamp that comes with a die cut (but see my hack below using a Silhouette Cameo). I’ll place a link to her YouTube video demonstrating this technique at the end of this post. Since I didn’t have an appropriate stamp with a diecut, I decided to create my own with my Cameo and a digital image. First, I placed a floral image inside a rectangle that was 4-inches wide by 5.25-inches high. I turned my registration marks on to create a print and cut. This printed the image and cut a rectangle around it. I colored the flower, and set the panel aside for later. I then turned off my registration marks and being careful not to move the flower, I offset it by 0.080. Then I cut that piece out of colored cardstock using my Silhouette Cameo. I used my paper cutter to trim down the panel so that I was left with the middle portion of the panel which was split into 5 pieces; the left side, the right side, and 3 smaller pieces . I adhered each piece on either side of my flower with some pop dots to set the flower back. The 3 tiny pieces I adhered directly to the cardstock with Tombow Mono liquid glue. I trimmed a little bit off the top and bottom of the panel and adhered it to my folded card base that I had matted with a 4.0-inch x 5.25-inch piece of colored cardstock. I added a sentiment to the card to finish it off. Jennifer added a strip of black cardstock along the top and bottom of the cutout panel but I forgot to do that. I think it would have looked better had I done so. This hack sounds like a lot of work but it really isn’t too bad at all. Here is a link to the video so that you can see this technique in action. Jennifer shares several different ways you can use this technique. I really like it and will probably try it again sometime. That’s all for today. Thank you for stopping by and see you again soon. I am back to share some one sheet wonder cards that I made. This time I worked from a template created by a woman named Deb Valder, a Fun Stampers Journey Coach. This template makes six beautiful cards! A link to Deb’s video is at the bottom of this email, but, before you run off to view it (because I know you’re going to want to), please just take a minute to look at the cards I made and read about how I added a couple of extra touches to make them just a little different from the cards in her video. I colored the flowers with copics and created the sentiment using my Cricut Explore. I cut the “thank you” out four times from a piece of black cardstock that was adhered to some Stick-It Adhesive. I layered them one on top of the other to build my sentiment up, and then coated it with clear embossing powder. To apply the Versamark, I laid the sentiment on top of my ink pad and covered it with some basic white copy paper so that my hands wouldn’t get all sticky. I smooshed it down onto the pad and rubbed my fingers over it to make sure it was thoroughly coated. Once that was done, I poured my clear embossing powder over the sentiment and heat set it. I did this a couple of times just to make it a little thicker. 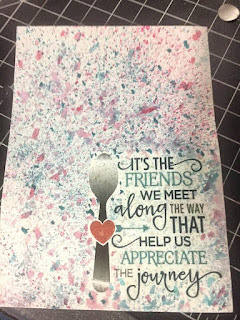 I added the sentiment and some coral pearl dots to the card to finish it off. I did the same thing for all of the cards made from this template. As promised, here is a link to Deb’s video explaining exactly how to create these beautiful cards! Thanks for stopping by. I’ll be back again soon to share some more cards with you. And very soon, I will have a special little announcement to share with you as well. Hey there friends! I’m so excited to share my first “real” post (i.e not transferred over from the other blog, a not a welcome post) with you. As you may or may not know, I recently shared some insight on what it’s like to be a spoonie. You can read more about that here. Today, I made another quick and very simple card to share with you all. The background paper says “seriously sweet” and I popped the image up on some rose colored cardstock with pop dots. I added the ribbon to finish it off. Simple, but cute…in my opinion. Hello, friends! It’s wonderful to see you here. I’m so thrilled that I finally have this blog up and running. It’s been a long time coming. I do hope you like the new name and branding. It’s still a work in progress but so far I’m so pleased with it and I feel that I am to the point of being able to release it to the public. It’s taken me years to finally come up with a name and brand that I know I’m willing to stick with forever. Moving forward, all posts that I make will be on this blog so please take a moment to use one of the methods I’ve provided to subscribe to this blog so that you will be notified when I post new things. It would mean so much to me. If you have any family and friends who love to craft, please consider sharing my blog address with them as well. 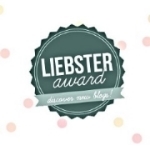 I’d love to have some new vistors to my blog. I’d love it if you’d leave me a comment today to let me know you found your way here! Thanks so much. I have made some cards that I’m excited to share with you and I will be putting those up in the next couple of days so please watch for them. In the meantime, pull up a chair, relax, and have a look around at the new surroundings. The other day I posted 3 A2 sized cards (4.25x5.5-inches) that I had made from one sheet of 6x6-inch designer cardstock and 1 sheet of 8.5x11-inch colored cardstock. These were made from a very simple template that I created and it makes a total of 4 cards. I love One Sheet Wonders because they make card making so simple. One of my followers asked me to share the template so I’m doing that today as well as an example of what the layouts should look like when you are done. The only thing you need to do once you’ve cut the 6x6-inch cardstock into the 3 pieces is cut the square in half diagonally. Now all you need to do is put your cards together. Easy peasy! 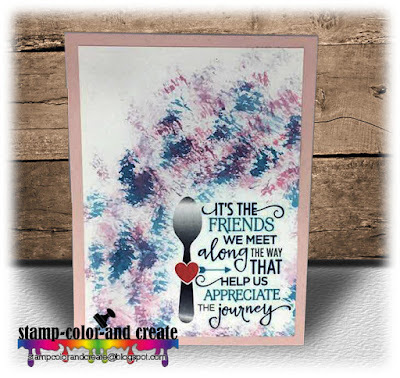 I created some circular pieces for the sentiment and used a border punch to create my scalloped border. You can do whatever you like to dress yours up. Below is an example of the layouts. (Go HERE to see the actual cards). You can see in my example below that the light pink areas are the 4x5.25-inch layering pieces, and the green, dark pink, and blue areas are from the 6x6-inch piece of cardstock. Adhere the finished product onto an A2-size card base. I hope this is helpful. I would love to see the cards you create using this template! I have a “Share With Me Please” feature that you can get to by clicking on the link across the top of this page. Just follow the instructions on that page and then drop me a comment to let me know you shared. Thanks so much and I hope you have a great day! What’s The Spoon All About? I was challenged to make a one-layer card in a new group that I joined on facebook (more on that later). I had an idea in my head of what I wanted to do but upon execution I wasn’t happy with the result. My goal was to stamp an image and mask it off and then use my Zig Clean Color Real Brush Pens to make a background. Easy- peasy-pretty right?! Ummm, nope, nada, no siree, lol. I picked out the colors I wanted and, after using an acrylic block to scribble the marker on, I added some water. I dipped the a paint brush into the watered-down ink and ran my fingers over the brush hairs to create flecks of colored drops across the cardstock. I did this with each color I chose. As you can see in the photo, it turned out terribly. When I masked off the image I used a post it note and applied it to the bottom corner on top of the image. This left me with a square edge around the image and I did not like that so I tried adding flecks of paint, first by just dabbing the pen straight to the paper – nope, not a good idea, lol – and then using the same technique as above with the paint brush. I didn’t like that the flecks covered up the image in some places and it just ended up being very messy. So I came up with another idea. Instead of flicking the paint off the brush with my fingers, I dabbed the brush into my watered-down ink and then blotted it on a paper towel. Then I took the brush and dabbed the cardstock in random places. I did this for each color that I chose to use. As I layered on the ink, the colors became more vibrant. I think the 2nd idea resulted in a much better outcome. What do you think? 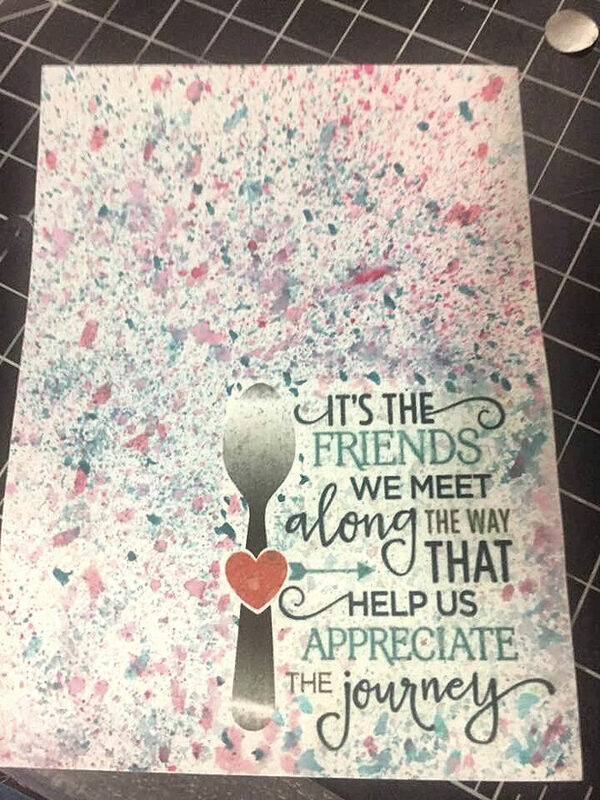 So, what’s with the spoon on the card you ask? “Spoonies” is a term used for people who battle chronic illness on a daily basis. The term “spoonie” originated from The Spoon Theory, a story written by Christine Miserandino. Essentially, the Spoon Theory illustrates the challenges that someone living with a chronic illness faces every day. As anyone living with a chronic illness can attest, taking medicine, crying in pain, or struggling through the simple tasks of life are hard enough but then factor in the reality that the illness, which happens to be “invisible,” is difficult for even good friends and family to truly understand. Chronic illnesses can range from fibromyalgia, lupus, chronic pain, depression or other mood disorders, and chronic fatigue, among others. Because a spoonie is relatively mentally and physically healthy in appearance, it’s very hard to explain what it feels like to live with a chronic illness. One day, Christine was out for lunch with a friend when her friend asked her what it felt like to have lupus. She started to tell her all about the aches and pains and medications but her friend kept pursuing and wasn’t satisfied with those answers. Christine, realizing that words alone were not going to cut it, grabbed some spoons and began illustrating her life with lupus. She laid the handful of spoons out on the table and explained that the spoons symbolize all of a patient’s daily energy reserves. Every activity, no matter how thoughtless and automatic, depletes from the energy supply. Getting out of bed, showering, brushing your teeth, getting dressed, eating, and any number of ordinary tasks threaten to deplete energy at any given time. The longer the list of activities, the less spoons available to move on to the next task. Very quickly her friend realized that, with every spoon taken away, it makes it more difficult for a person with chronic illness to keep up with daily tasks and responsibilities. I started this post by mentioning a group that I’ve recently found on facebook where people living with chronic illness, like myself, can gather for support. It’s a place where we share our crafty creations but also feel safe enough to share our struggles. The group was created by Rachel Winn who is a fabulous encourager. 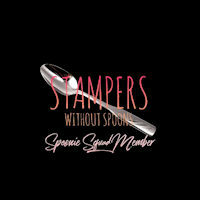 If you consider yourself a spoonie, we would love to have you join us in our “Stampers Without Spoons” facebook group. Last, but not least, I want to give a shoutout to Beth Duff Designs. She’s a relatively new designer on the scene (to me, anyhow) and she’s wonderful. Her facebook group is how I found out about the spoonie group so thank you Beth! You can find her facebook group here and her shop here. Please go take a look. I’m certain you will like what you find. Thanks for stopping by. I will be back again soon with more cards to share. So I’m into these one sheet wonders for some reason. They are great when you are fresh out of inspiration and I’ve definitely fallen victim to that lately. I made a some cards using a 6x6 sheet of pink and gold foiled cardstock. I actually made 4 cards but I’m only showing three of them because I gave the other 1 away before taking pictures…whoops. These cards are fairly simple so not a lot of explaining is needed. I do love the pink, grey, and gold foil combo. The words hugs, happy, and love were cut using my silhouette. I adhered a piece of pink cardstock to a Stick-It Adhesive sheet and then cut each word four times and layered one on top of the other to build up the thickness so that it would pop off the page. I stamped the words birthday, much, and & kisses with some London Fog memento ink. I used my Misti to easily stamp the words several times to make them a little darker. The grey scalloped border was made using a Martha Stewart Edge Punch. That’s all from me today. I have several more cards to share coming shortly. Thanks for stopping by to have a look. Please leave me a comment to let me know you were here. It’s always appreciated.